Just completed my second project with Tri-Lite. My new master bath is stunning! As a single woman, it was great to work with someone I trusted to do the job right. Homework Remodels/Tri-lite Builders remodeled my very dated kitchen, and I couldn't be more pleased with the results and the experience. Steve Shinn's team is outstanding: professional, talented, responsive and courteous. Designer, Sheila, provided great guidance and was wonderful to work with. Project manager, Jim, kept all running smoothly and handled any and all of my questions. I now have a kitchen I can really enjoy. I highly recommend them! 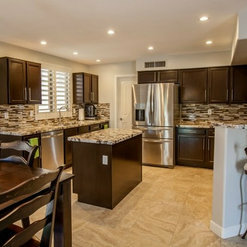 Tri-Lite Builders did an outstanding job of the remodel of our kitchen. I can't say enough about the professionalism and workmanship of the project manager Jim, and the designer Shelia who did an exceptional job of guiding us in this project. The job was completed on time and our thanks to Steve Shinn and his staff. Thank you for your five-star review. 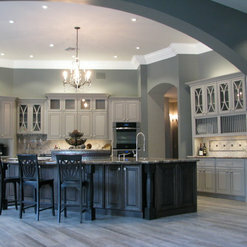 It is always rewarding to help homeowners recreate their homes so that they work better for their lifestyle. This is especially true when rooms like your kitchen have an alkward layout that creates ongoing challenges in its everyday use. 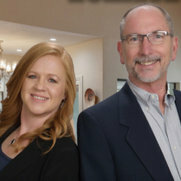 I asked Steve and his designer Sheila for remodeling ideas for my business, which is not part of what they normally do. He figured out a way to help us out and Sheila came up with some terrific ideas that we will be incorporating into our future plans. They were both extremely professional and bent over backwards to help us out. I highly recommend them. Thanks for your five-star review Sheldon. Your restaurant, the Phoenix City Grille has been one of my favorite places to eat for years. It was an honor to help you with some original design ideas to help you with your constant interest in keeping your decor up to date. Very professional. Job completed on time. Excellent quality. Friendly, knowledgeable staff. Very helpful in shopping for appliances and hardware (new handles, knobs, etc.) and great advice on color coordination of materials. Second time (and second home) where we used Tri-Lite. Both times very pleased with the results and highly recommend them. You're the best Paul! Thank you for taking the time to write this awesome review of our people and our work. It was a pleasure working with you and Linda again. We hired Homework to help put a few finishing touches on our Willo District home. 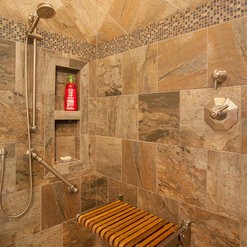 The master bath lacked a water closet door, and Homework was able to design a custom tile framed door that fits exceptionally well with the existing historic structure. Homework also restored a cove ceiling and re-textured our den with plaster matching existing from 90 years ago. Could not have been more pleased. We are very pleased with the process and work that Steve and his team at Homework Remodels did for us. His entire staff and all of his trades people were very professional. From the beginning of the process it was clear that Steve and his team were interested in quality work and attention to detail. Our project was perhaps a little unusual for Steve because it did not include kitchen or bathroom remodeling, but structural remodeling to remove several interior bearing wall to open up the central interior of our home. The work was well sequenced and potential problems were anticipated and dealt with. The work was completed within the anticipated time frame. Thank you for your kind words, Bill. A good deal of our projects do include kitchens and bathrooms, but we enjoy the variety that comes with customizing homes like your to eliminate cramped or isolated rooms to create open-concept floorplans. Please feel free to refer us to anyone else that needs something unique done to their home. Have used Tri-Lite twice since 1998. First time did whole house make-over excluding the kitchen. Had them back four years later to remodel the kitchen. Great results both times. They did it on-time, in the budget and no issues----ever! These folks treat your home like it is their home! I'm glad you called the other day so that we could connect you with someone to get the glass in one of your existing windows replaced. It's always great to hear from past clients that continue to enjoy our work. 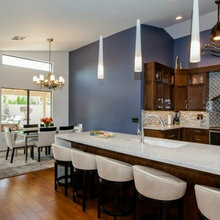 I had the pleasure of working closely with Homework Remodels as they remodeled the kitchen of our 1938 bungalow located in a historic neighborhood in Phoenix, Arizona. The crew paid attention to every detail of the design which focused on keeping the historical charm of the home with a few modern day touches. Another aspect of their workmanship was the daily cleanup at the end of each working day which always makes a remodel more tolerable. In the end the project was completed as promised and at budget but most appreciated of all are the 'WOW' comments from friends and family. Thanks, Alex, It was a pleasure working with you on your kitchen remodel. 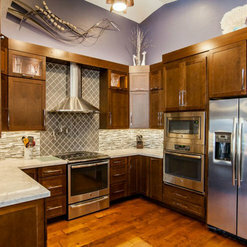 We especially enjoyed the professional photos you took of your finished kitchen remodel. I can see why your photography business, SpartaPhoto is so successful! So that you know, we entered your kitchen photos locally with the National Association of the Remodeling Industry and won their award for "Contractor of the Year" in the Historic Kitchen Category. 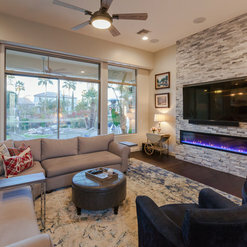 We would also like to thank you for taking the photos of one of our other remodels that got us featured in the Phoenix Home and Garden Magazine last year. It was a pleasure to work with the Tri-Lite Builder Team. We did a whole house remodel that was scheduled to take 6 months and they completed the project 2 weeks early! Many thanks to helping us achieve our dream home. 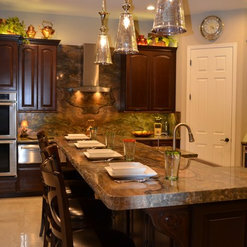 Thank you, Dan & Linda, for trusting us with designing and remodeling your home. 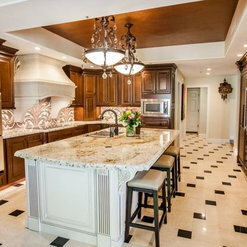 It was a challenging project that included removing multiple walls and moving the kitchen to create an open-concept area that will be great for entertaining. 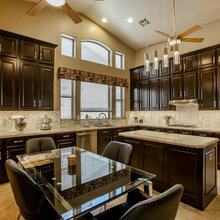 The team at Homework Remodels are the consummate professionals. From the beginning of the process, Steve and his teams quality of work & attention to detail were superb. The design team worked with me to ensure every idea was developed fully, and the follow through & workmanship was fantastic. We even called a couple of audibles along the way, which were implemented seamlessly. I would hire Homework Remodels again without hesitation! Thanks for taking the time to do this great review for the work we did for you. 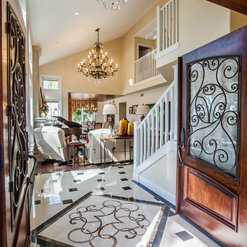 We were honored to help you update and personalize your home. Recently, we had our master bathroom torn down to the studs and totally remodeled by Homework Remodels. We met initially with the owner of the company Steve Shinn and his designer Sheila Lanier. We were so impressed by their presentation, that we did not bother to obtain any additional quotes. Sheila, in addition to being quite personable, is an extremely talented designer and decorator with a great eye for color and composition. 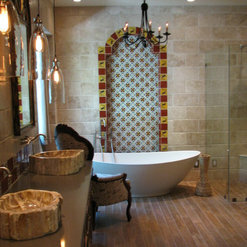 We accompanied her on many trips to select tiles, granite, bathroom fixtures, lighting, etc. The subcontractors used by Homework Remodels were all excellent in their craft. The job foremen, Aaron and Lee oversaw our project with the utmost care. During part of the renovation, we had to be out of town but we were comfortable entrusting our home to these men during our absence. During renovations, we also decided to have the company do a partial revision of our main guest bathroom. Although our initial budget was far exceeded, we believe the final product was well worth the cost. We can highly recommend Homework Remodels to anyone seeking quality renovations of their home. Thank you for taking the time to review the work we did for you, and giving us a five-star review. 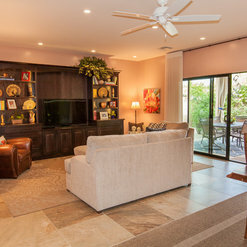 We were honored to have the opportunity to work in a home as nice as yours. We enjoyed working with you, and look forward to working with you again in the future. We especially appreciate that you have recommended us to your personal friends. Commented: Perfect blue walls with wood!The paint brand was Benjamin Moore. It was chosen from one of their color collections that they no longer feature. I do not have the color name. Commented: who makes this ceiling fan and what is the diameter?The fan was purchased by the homeowner from Home Depot. It is 52&quot; wide. Commented: Fireplace screenThanks for your question about the fireplace screen. Numerous other homeowners have inquired about it earlier. Unfortunately it is no longer available. Commented: hi,beautiful project, I realized watches, can I propose to the next?Glad you like it! Commented: Is this wood tile? If so, what brand and type is it?I apologize for missing your question when you sent it. 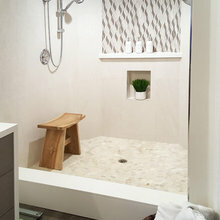 The tile is porcelain wood plank. The homeowner sourced it from Lowes. Commented: IslandThanks for your question. Unfortunately, the homeowner found it at a local store and I don't know how to find one.